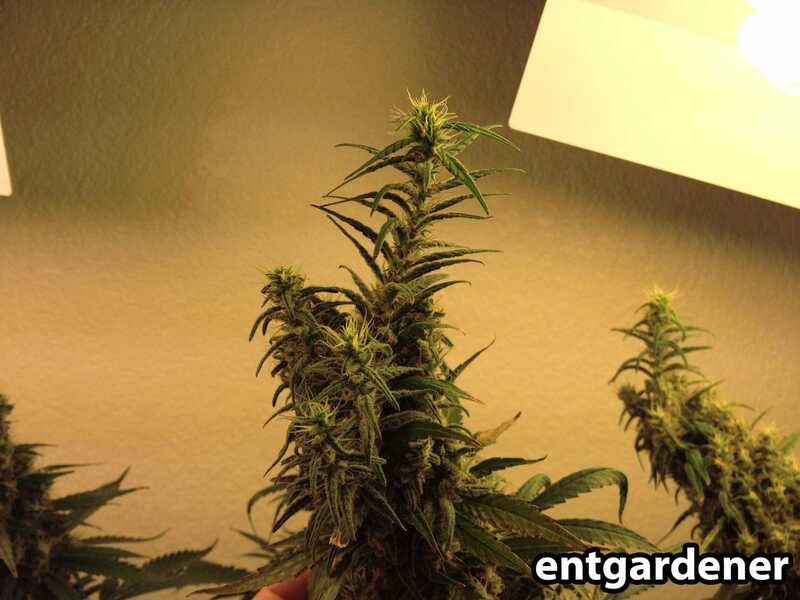 Problem: Your cannabis plant can only withstand a certain amount of heat and light. After a certain point, your cannabis will start exhibiting signs of stress on the leaves near the sources of light and/or heat. Your leaves will get yellow or brown brown spotting and may appear generally burnt in places when there’s too much light. It’s also common for leaves to curl up or down, fold inward like conoes or tacos, and for the serrated edges of leaves to start flipping up. What else can cause dry, crispy marijuana leaves? Important for Hydroponic Growers! High temps can trigger root rot, a serious problem that can kill your plants. 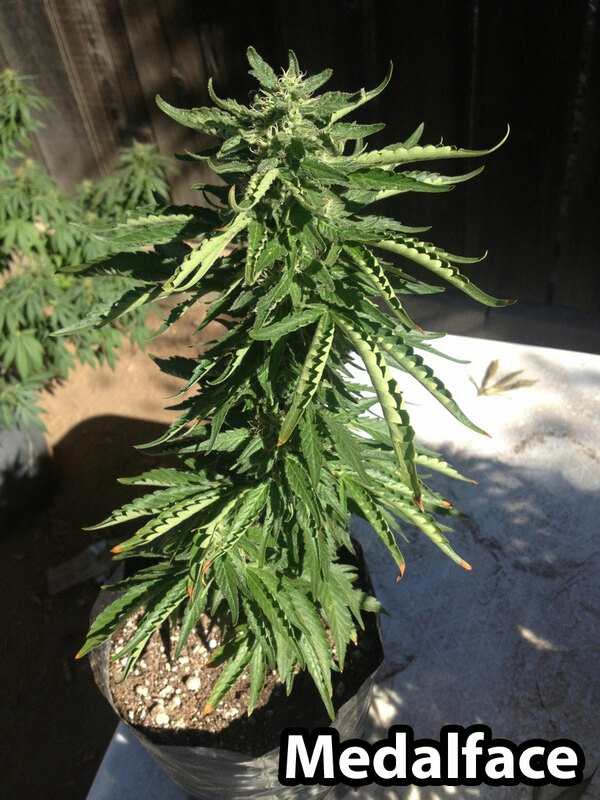 Cannabis will also display heat stress when grown outdoors in hot, dry weather, especially when not given enough water. When the heat gets too high, the edges of the serrated leaves will begin to curl up even if there are no burns or other signs of light stress. Heat stress is even more damaging in the flowering stage since plant is no longer growing many new leaves. 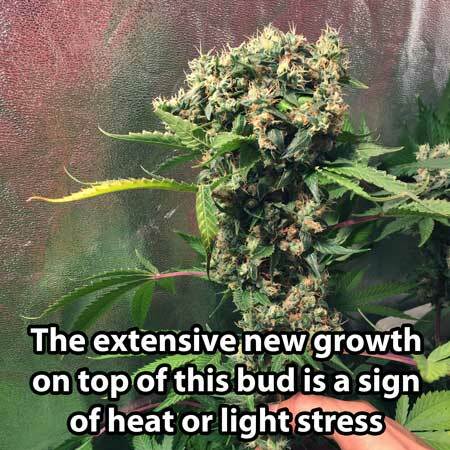 Indica-leaning strains are most prone to heat damage in the flowering stage. 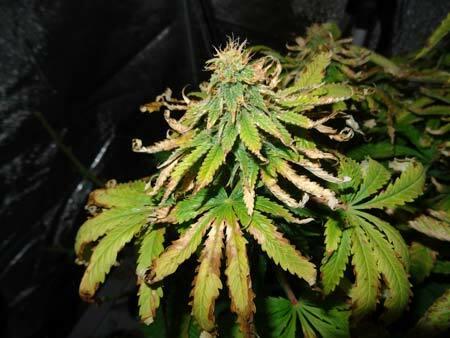 Heat damage during budding will reduce your yields by demolishing many of your most important leaves, while also causing buds to grow airy with ugly foxtails. Even though the grow lights were turned off, this is what happened to an indica-leaning plant overnight after being exposed to 105°F (40°C) temperatures during a heat wave. 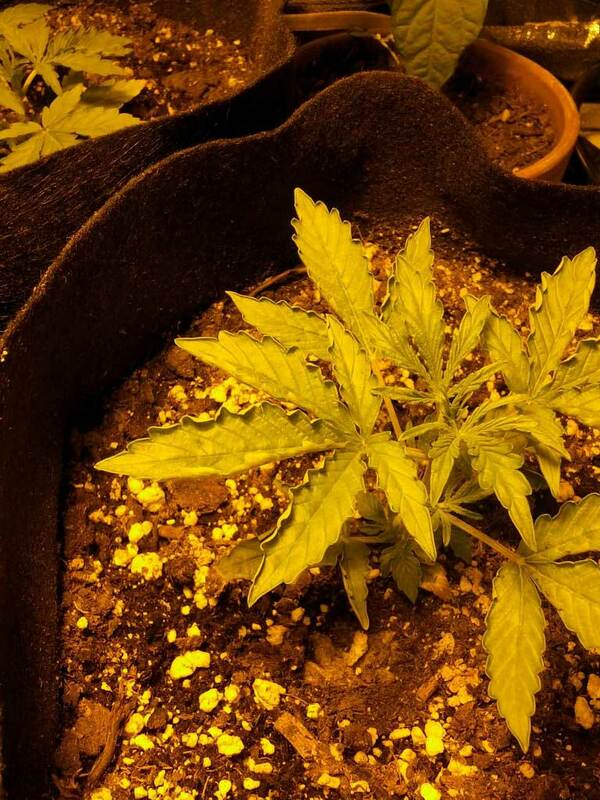 If it seems like your cannabis plants are completely ready for harvest, but they keep putting out new white pistils at the top of the plant, it might just be heat. If that’s the case, pay attention to the lower growth to decide when to harvest. Heat during the flowering stage also causes fox-tails, which are airy and don’t have much substance to them. 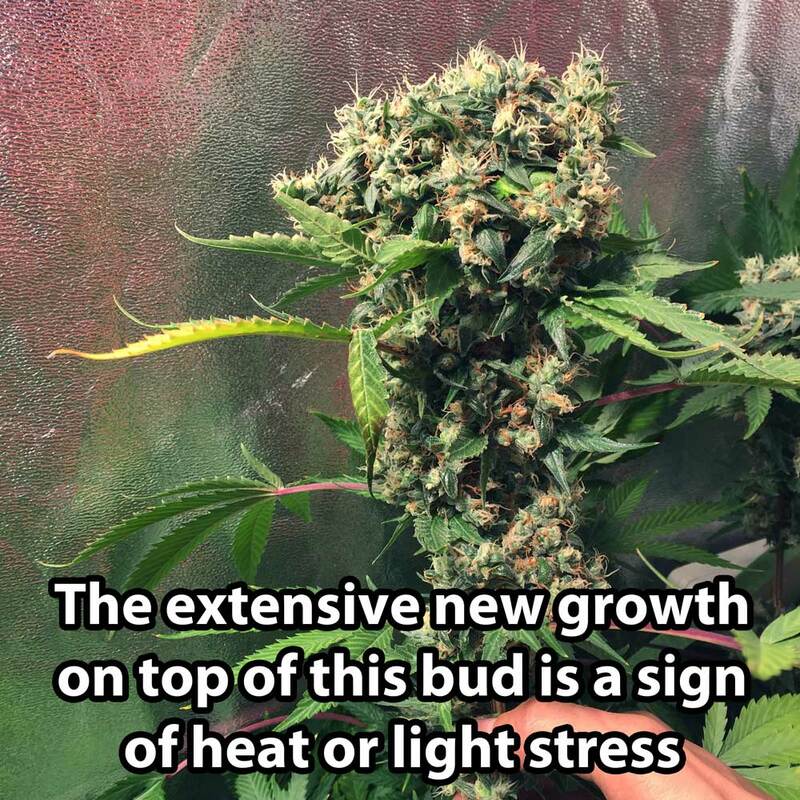 It’s basically the same response as growing new buds on top, it just looks a little different on some plants. 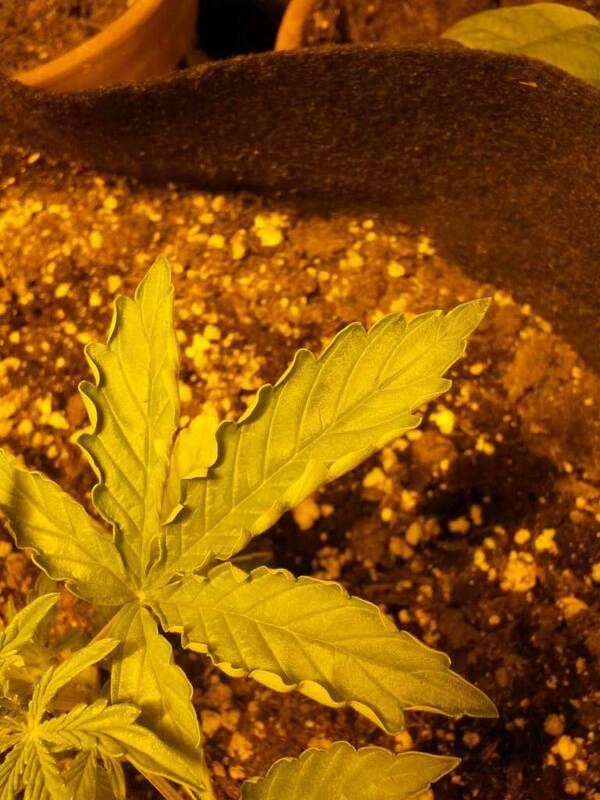 The plant is basically “abandoning” the original heat-damaged bud to try to make a sad new one. Solution: Get a way to monitor temperature. Control heat by whatever means necessary using the steps outlined below. 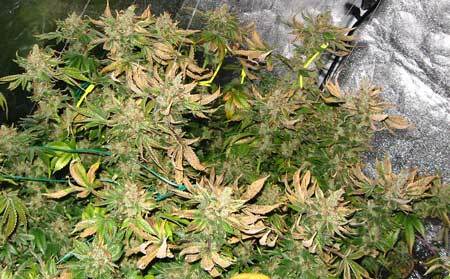 Learn 5 secrets to controlling heat in the grow room! Indoors, find a way to lower the temperature and/or increase the circulation in the grow room or grow area if heat is the problem. Having a small fan blowing over the tops of your plants will help prevent hot spots from forming directly under your grow lights. How far away should you keep your grow lights from your plants? You may consider removing grow lights further away from the tops of the plants if heat is a problem. When growing cannabis, it’s best to try to keep things at a comfortable room temperature at all times for optimal growth. If it’s too hot for you, it’s probably too hot for your plants. If you can keep your roots cool, it will help your plant deal with heat affecting the top of the plant. If there’s some way to protect the roots from heat, do it! Many indoor setups will require that you vent out hot air using a fan and/or an exhaust system. By creating good suction with an efficient exhaust system and adding a carbon scrubber, you can also pretty much scrub all smells from the grow room. Learn more about controlling odors in the grow room. An oscillating fan will circulate air in the room as well as provide a gentle breeze for your plants, and a small one will cost less than $20. Outdoors, you have less options to reduce heat during a heat wave, but you are able to monitor your local weather via weather forecasts. It is possible to partially shield your plants when you know the temperature is going to get hot. You can also adjust your watering schedule to make sure plants at least have plenty of water. 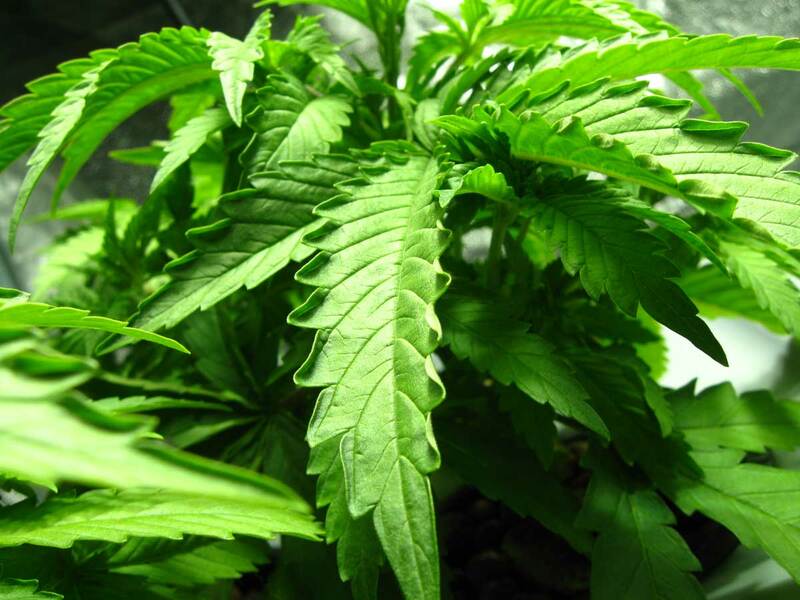 take extra good care of heat-stressed plants – when cannabis plants appear heat-stressed, try to baby them as best you can, and offer shade during the hottest days. 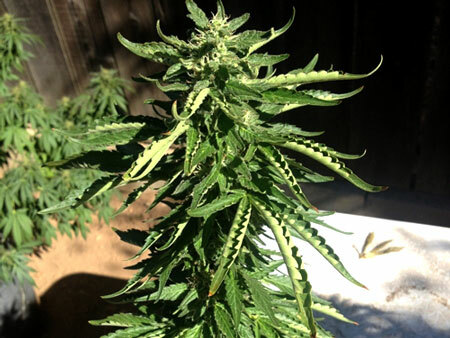 When growing cannabis outdoors, it can often take a few weeks for plant to recover after a hot or dry spell, so prevention is the best medicine for outdoor plants.